A lot of futuristic fiction portrays life underwater where we’re surrounded by beautiful marine life. While this may seem unbelievable, there are many subaquatic structures throughout the world today. Of course, these did need a lot of special engineering, and architectural design work to create. Nonetheless, they are as functional as any other building in the world today. With this in mind, here’s a sneak peek at some of the most unusual and interesting ones. 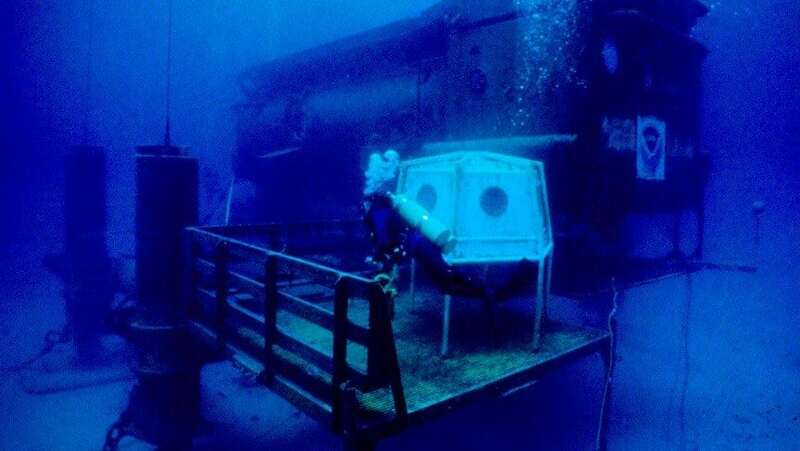 US Submarine Structures is a company that builds extravagant underwater homes known as the H2OME. These are surface pressurized houses that sit 60-feet down on the seabed. They have two floors with two bedrooms, a lounge, dining room, and more than 300 square feet of space. There’s even a special feeding mechanism to encourage wildlife to come near your home. The downside is that a H2Ome costs $10 million. 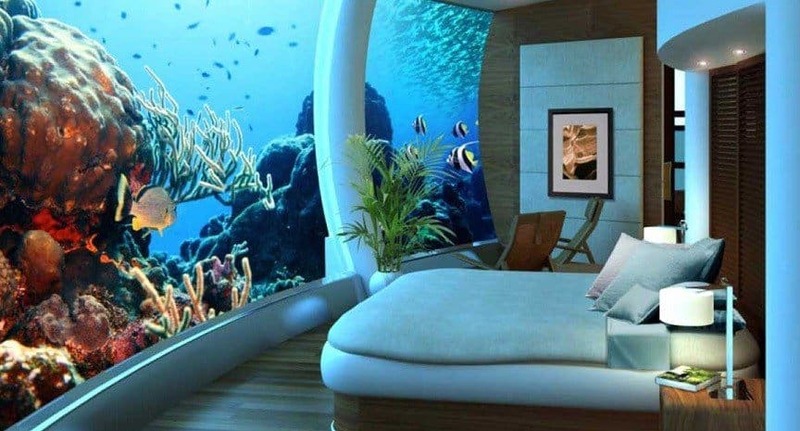 Here is a one of a kind, underwater hotel. Built in the 1970’s and located in the United States, this was originally a submerged marine lab by the name of La Chalupa. Operated by Ian Koblick, there are two bedrooms, a bathroom, and some living space. In order to stay here you must be PADI certified since you have to scuba dive to the building. There is also staff available around the clock to prepare meals or deliver chocolates or flowers. 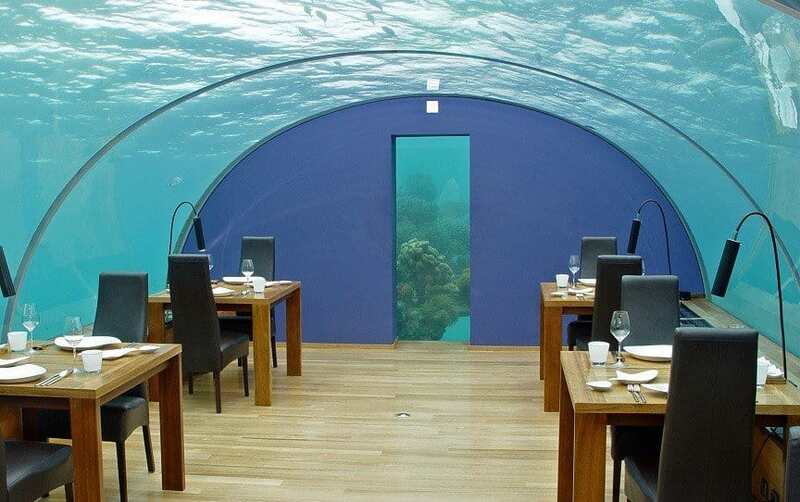 Located in the Maldives, this underwater restaurant has been in business since 2005. It serves both lunch and dinner, as well as acts as a rental hall for special occasions. All of this is easy to reach thanks to the glass tunnel-like entrance. Sea.Fire.Salt.Sky. is a highly acclaimed restaurant that consists of four floors, each with a distinctive theme and atmosphere. 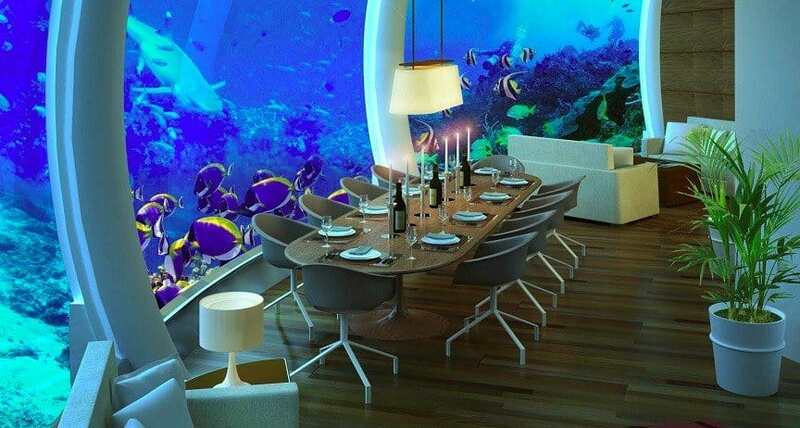 The decor is elegant and it’s also stocked with its very own underwater, high-quality wine cellar. Located near Jules’ Undersea Lodge, MarineLab is a large underwater facility that’s been in operation since 1984. It acts as a research center for scientists and a classroom for students and teachers. 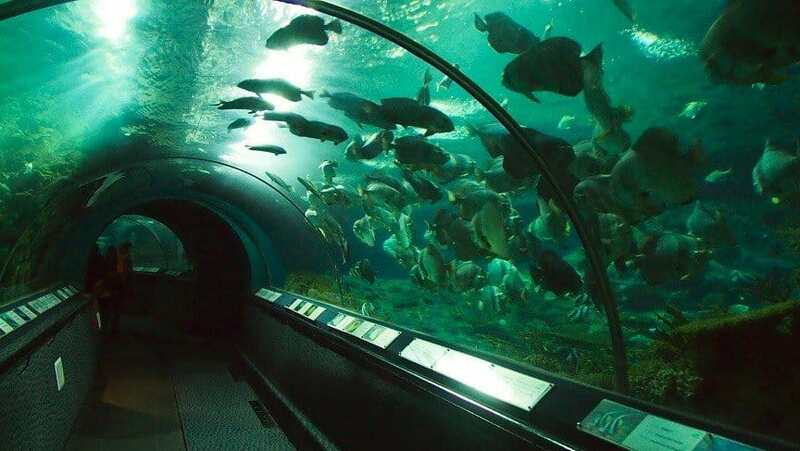 Advanced Aquarium Technologies designed and built The Shanghai Ocean Aquarium with its 400-feet long, underwater viewing tunnel wherein visitors travel through various environments, including a shark cove, kelp cave and a coral reef. Marine Park Director Jaime Gonzalez Canto and sculptor Jason deCaires Taylor, worked together to create the Cancun Underwater Museum. 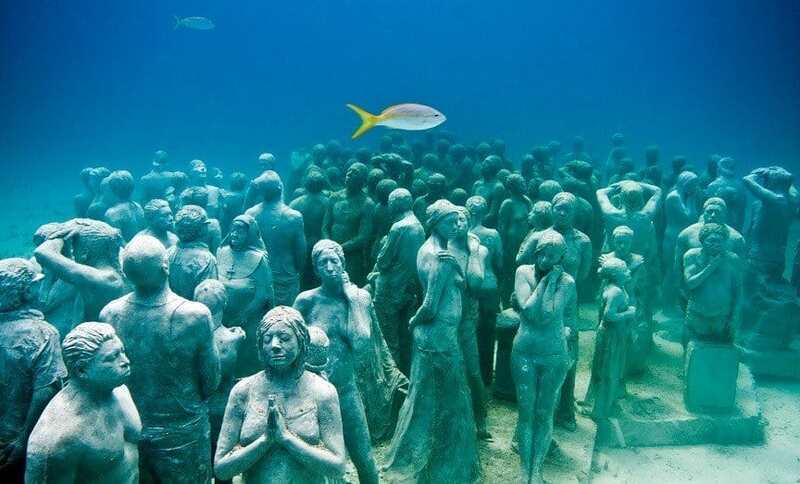 This is a collection of over 400 sculptures that rest on the sea floor. The museum’s main goal is to help promote and protect Mexico’s coral reefs. 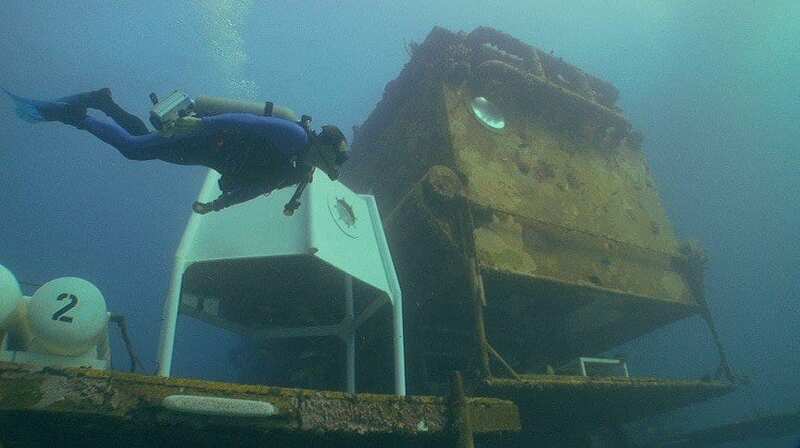 Located 62 feet below sea level off Florida’s coast, the Aquarius Reef Base is an underwater lab that’s full of research equipment and computers. Built in 1986, its goal is to allow marine biologists to explore the area’s coral reef, plant life and animals. This lab is special because divers don’t continually need to return to the surface, risking the likelihood of them getting sick. 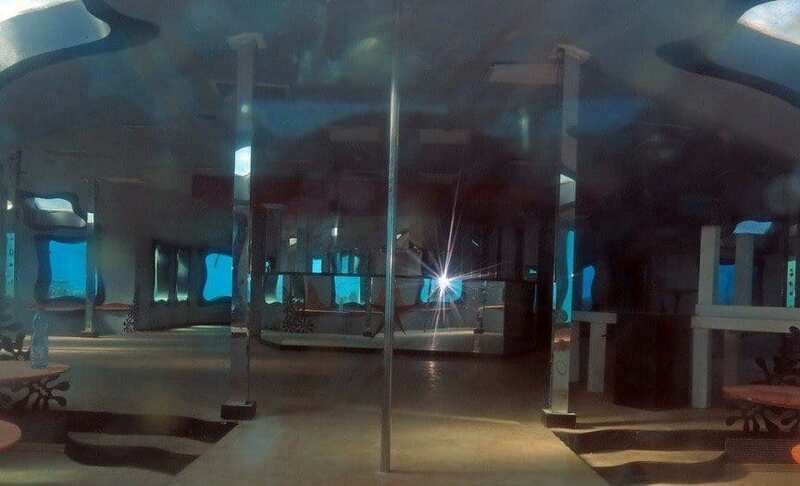 The US Submarine Structures also developed the Poseidon Undersea Resort. 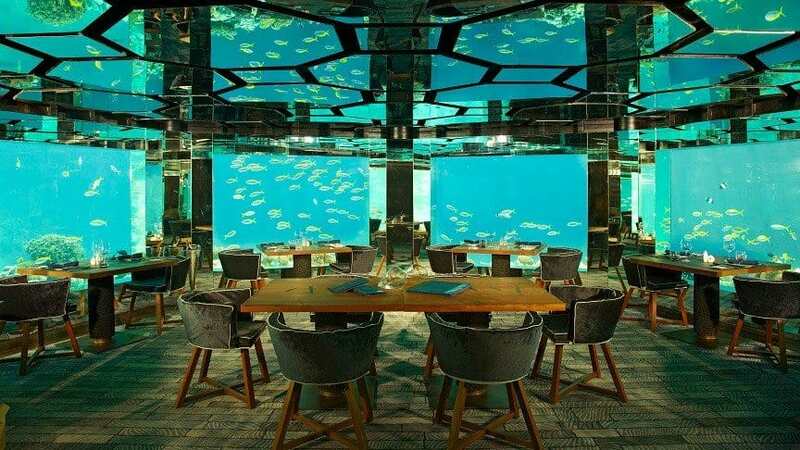 Initially, it was to be the first completely submerged underwater hotel, with a restaurant, bar, library, conference room, spa, swimming pool and a wedding chapel. Although there was strong interest in this establishment when it was to open in 2008, it still hasn’t been completed today. Nonetheless, various sections are reportedly complete. Located in Eilat, Israel, the Red Sea Star was an old restaurant, bar, and observatory. It was then a gentleman’s club. However, it’s been abandoned since 2013. In its heyday, you could visit here by simply crossing over a short bridge and descending down a small flight of stairs.